It’s unfortunate but true: A sizable percentage of American workers have put away very little, and in same cases, virtually nothing for the future, according to a survey conducted by The Employee Benefits Research Institute (EBRI). In fact, 57 percent of survey respondents said they have amassed less than $25,000 in savings, excluding the value of their primary home and traditional benefit plans requiring no effort on their part. Of that 57 percent, 28 percent report having less than $1,000 saved. With rising life expectancy and the cost of long-term care, saving for retirement should be priority No.1. Here are five steps to getting your retirement plans on course. In discussing needs and wants for the future, Couper said it would make more sense to say, “I want to retire at age 65 in Florida with $100,000 of yearly income invested for inflation.” As you consider your retirement goals, you’ll also want to factor in unexpected costs, and then some. When planning for retirement, the age you start saving will affect how aggressively you need to save. Of course, your personal finances will also affect how much you save. Ideally, you’ll want to put away 15 percent of your annual income every year, recommended Couper. If you started your retirement savings late, you’ll need to put away even more. How much you can reasonably save, unfortunately, might be less than what is recommended. Those with significant amounts of debt, for example, might need to alter how much they save annually for retirement, said Persaud. On the other hand, those with more significant assets — such as a second home — will have the opportunity to downsize at retirement to boost savings. As you get older, you’ll want to tackle lower-risk investments to avoid endangering your savings too late in the game. How much risk you choose to tackle leading up to retirement, however, is up to you. A conservative portfolio will have about 25 percent allocated to stocks and stock funds, said Couper. An aggressive portfolio will have 75 percent allocated to stocks and stock funds. As you consider your risk tolerance, be realistic about how much volatility you can stomach, and how much risk you should take on. For many people with 401(k)s or IRAs, knowing how much risk you can take on means making adjustments to your investments over time. Investors with target-date funds — which automatically re-balance — might be shouldering more risk than is appropriate for their age, said Jerry Linebaugh, president of JLine Financial and an expert in estate and income planning. Many target-date funds have stock allocations as high as 65 percent. If you are 65 years old and take a beating in the stock market right before retirement — as some folks did in 2008 — you can lose 20 percent to 30 percent of your retirement assets, said Linebaugh. Losing so much value in your portfolio late in life can cause lasting damage to your retirement plans. Related: What’s the Best Way to Invest My Retirement Money? Tapping a company-sponsored retirement plan is usually the easiest way for someone to begin saving for retirement. Some companies will offer to match your 401(k) contributions — essentially boosting your retirement savings for free. You can also consider Roth IRAs and traditional IRAs to grow savings. Couper advised considering these investment products as a safeguard against unexpected financial circumstances. “If someone had $15,000 a year to invest, putting it all in a 401(k) can create liquidity issues if you are in a financial bind or get laid off,” he said. Whereas 401(k)s impose hefty fees and tax levies for early withdrawals, an investor can withdraw from their Roth IRA without tax or penalty. Retirement plan reviews should be held at least once a year — ideally with an advisor, said Couper. All told, keeping an eye on your retirement goals and knowing the lifestyle you want to live will keep you on track. 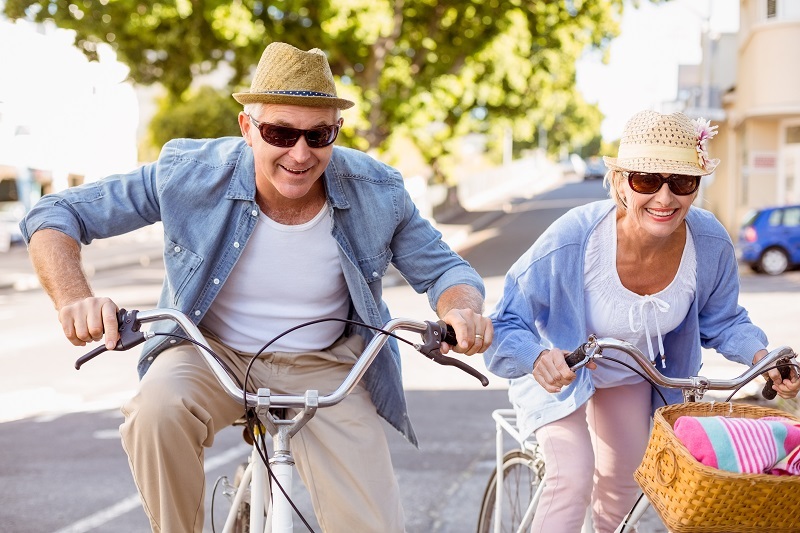 “And if you’re married, include your spouse in these conversations, as many couples have very different ideas of how they want to spend their retirement years,” said Persaud. If you want to continue working through retirement, for example, you’ll need to consider how your work schedule will affect your capacity to travel. As you consider your retirement options, be realistic about how much you should — and can — save. Know what expenses you’ll need to plan for and how much your savings will grow over time. Bitcoin has seen some good days and not-so-good days. GOBankingRates > Retirement > Planning > Retirement Planning: How Do I Reach My Retirement Goal?